Nice shot. 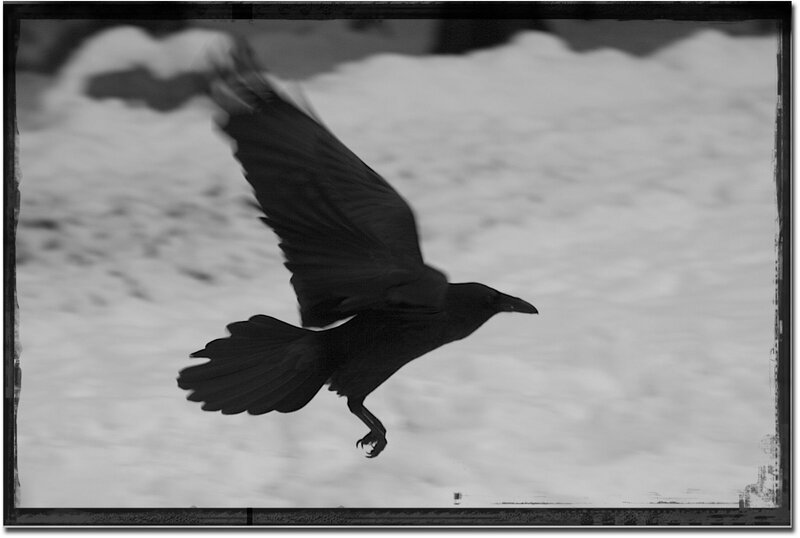 How do you tell the difference between a raven and a crow? So eerie for a cold winter's day. . . beautiful shot. Raven/crow/magpie.....they are all loud and steal our suet cages. really cool picture.